I really don't have any practice at it. Asking doesn't sit right with me, but I know I should! I'm sorry in advance, but here goes. 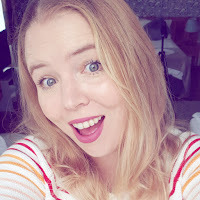 I've been nominated in the Mumsnet Blog Awards in the vlogger category and I am absolutely delighted. Also astounded, a little confused and flabbergasted! I watch far too many hours of it every day. I don't know whether it is as simple as getting to live out my childhood dream of being a Blue Peter presenter, or embracing the inner geek who loves stats! I blog and vlog pretty much anonymously. So I know that to make the finals it's going to be tough. I can't ask my family and friends to vote for me. I've contemplated 'coming out', but I don't think it's the right thing to do yet. I work really hard on my channel. I upload twice a week. Sometimes I get loads of views. I'm still learning what people want to see from me! I'm also not great at promoting my videos (must try harder). I would absolutely love to make it through to the final three. I've been blogging for six years now and it's my sanity, my escape. My place. My vlogs are my life. I don't sugarcoat it. You've seen me try diets, have all my hair cut off for cancer, been there through my skin cancer journey. The support on YouTube is wonderful. However the trolls are harsh. Thick skin is a must. In spite of this, I can't imagine not making YouTube videos. So I am here to ask you please to vote for me. You just need to follow this link. You don't need to enter any details. It's quick and simple to do. If I can make it through to the final three then the judge is Louise Pentland (Sprinkle of Glitter) and I can't begin to tell you how exciting it would be for me to know she had watched one of my videos! All that is left to be said is thank you.